The famous American writer, Mark Twain, lived during this time and coined the name of the time - The Gilded Age. 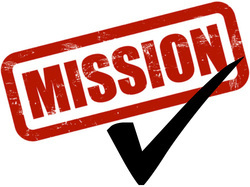 Activity 1: Write the Lesson Mission Statement below in your Lesson Chronicles under the Lesson Mission header of your Unit 2 Lesson 1 Chronicles - How the Gilded Age Got Its Name. I can explain how the Gilded Age got its name. 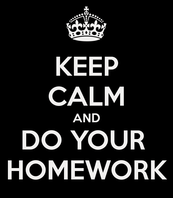 Activity 2: Read the Unit 2 Lesson 1 Text below. 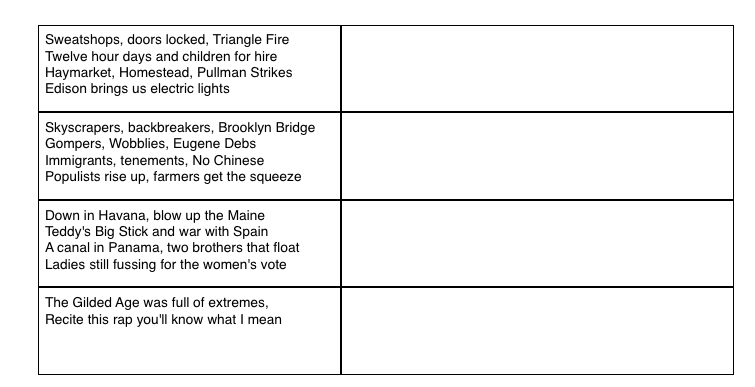 Match the vocabulary words and their definitions in your Lesson Chronicles under the Lesson Vocabulary header of your Unit 2 Lesson 1 Chronicles - How the Gilded Age Got Its Name. 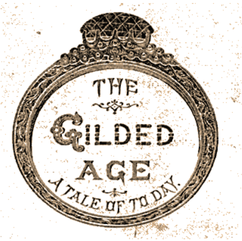 The Gilded Age: A Tale of Today is an 1876 novel by the famous writer Mark Twain and co-author Charles Dudley Warner. The novel is set in the period of the late 19th century; a time when greed and political corruption ruled the land. The term “Gilded Age” was used to show the contrast between the other “Golden Ages” in history, and the time in which these men lived. Periods called Golden Ages around the world were usually times of peace, during which advancements in art, architecture, trade, technology, or other fields occurred. While there were certainly achievements during the Gilded Age, they brought serious ill-effects. The word “gilded” refers to jewelry or other metals on which a thin layer of gold covers over tin, iron, or other less-costly metal. 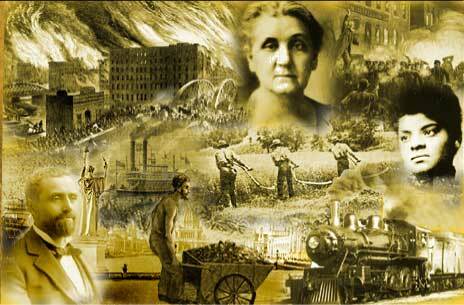 In the late 1800’s the nation underwent tremendous change. The West was tamed and settled, the U.S. developed a thriving economy based on industry and trade, and railroads and telegraphs crossed the land. Those who oversaw these changes grew very, very rich, along with members of local, state, and national government who worked to pass laws to help the growth and their cronies. In addition, powerful political machines who supported big business and enriched themselves ensured that political offices were filled with people who did their bidding. Activity 3: In this activity, you will practice the major concepts of the lesson by playing a class game called, "Survey Says." 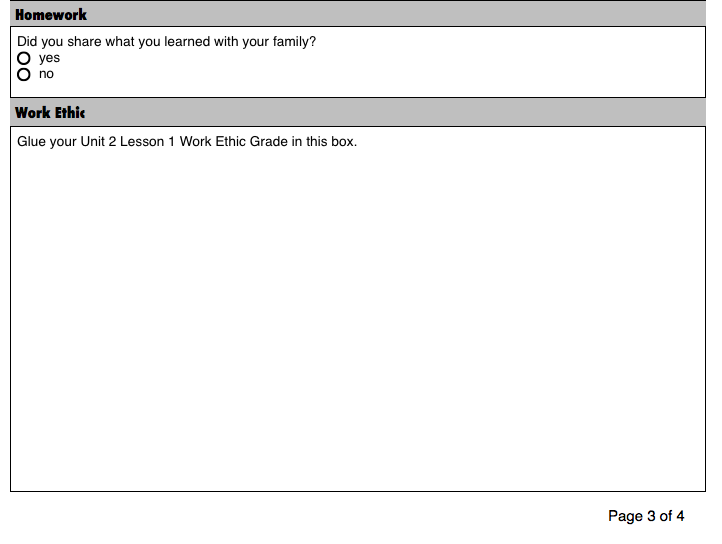 I will read a survey question to the class. When I say vote, choose the answer you believe is the correct answer to the survey question. We will discuss each question after each question's survey results are revealed. 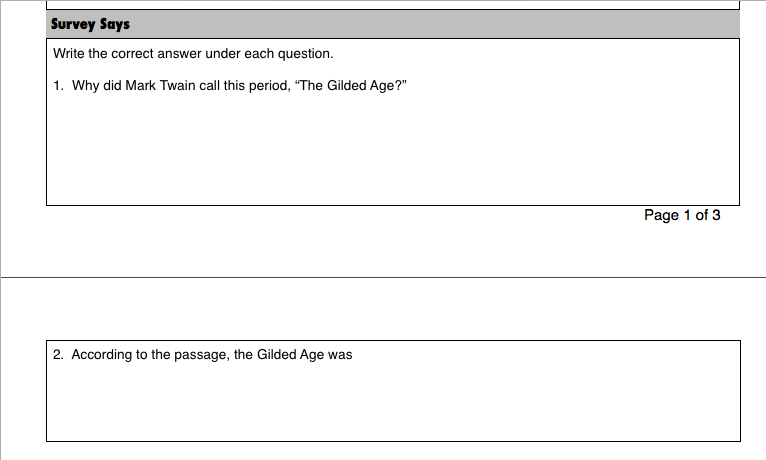 After class discussion of each survey question, you will write the correct answers in your Lesson Chronicles under the Survey Says header of your Unit 2 Lesson 1 Chronicles - How the Gilded Age Got Its Name. 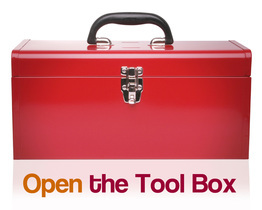 The Toolbox contains all the definitions of bolded words in today's lesson. 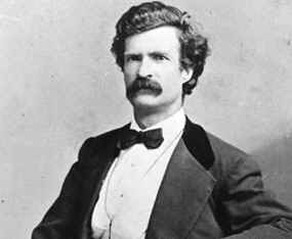 Mark Twain: the famous American author who coined the term, "Gilded Age"
Why did Mark Twain call this time period, "The Gilded Age?" Which definition BEST FITS the use of the word “cronies” at the end of the passage? Which of these subjects was ﻿LEAST﻿ likely to have been addressed in The Gilded Age: A Tale of Today? Activity 4: In this activity, you will apply what you have learned about the Gilded Age so far and create 2 goals for yourself. I will show you a video of high school students that created a spoof on the series called, Epic Rap Battles of US History. Listen to the Rap. In your Lesson Chronicles, under the Epic Battles of U.S. History, write two things you heard in the rap that you would like to know more about. We will share these with each other as a whole class after the rap. 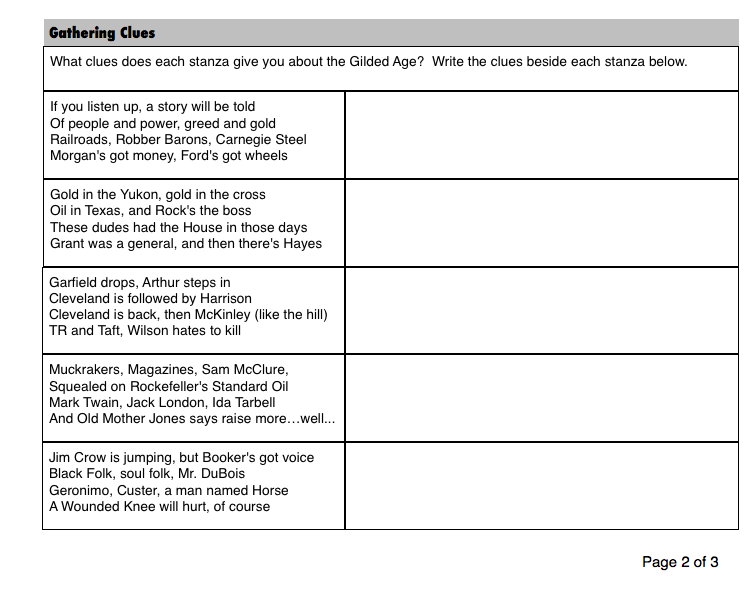 Activity 5: You will again apply what you have learned about the Gilded Age so far in Activity 5 called Gathering Clues. ​In this activity, you will work with your group to gather clues about the Gilded Age. Read each stanza of four lines below. 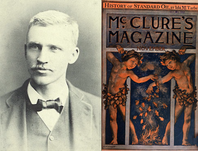 What clues does each stanza give you about the Gilded Age? As a small group discuss what you think the stanza is telling you about the Gilded Age. In your Lesson Chronicles, under Gathering Clues, you will see a response section for each stanza. Write down one thing you think the stanza may be telling you about the Gilded Age. 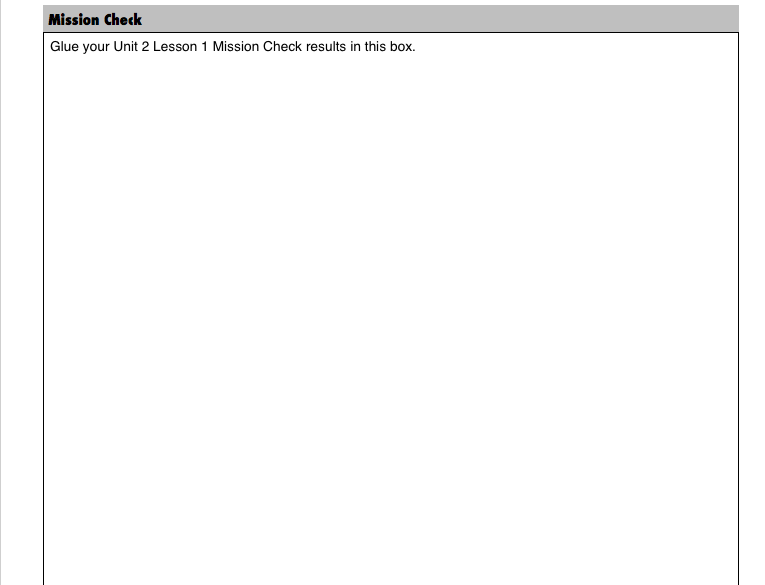 Activity 6: Did you accomplish your mission for this Lesson? Are you able to say the following I can statement? Hey Mom and Dad. Guess what? I can tell you how the Gilded Age of U.S. History got its name. Your parents will be delighted that you are actually telling them what you learned in school and its a chance to show off by telling them something they might not know! How the Gilded Age Got Its Name. 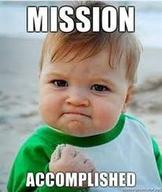 ​You have completed the Module!